TP Friends, I just want to share with you the very first video I took of an actual Nokia N9 unit during Nokia Connection 2011. Basically, the clip shows the form factor, panels and design of the handset as well as some sections of the MeeGo user interface and the touch-gestures needed to navigate it. I only got to check out the hardware and a bit of the UI so that's all I'm going to talk about. 1. 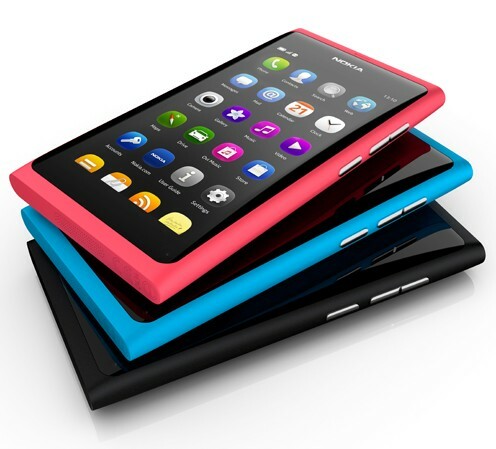 The body of Nokia N9 is crafted from a singular block of polycarbonate. But just because it isn't made of metal does not mean it feels flimsy or poorly-made. On the contrary, Nokia N9 feels extremely solid in the hand. 2. The body flaunts a matte finish, which isn't only great to touch but also resists fingerprints and perhaps helps users give the phone a tighter grip. 3. Nokia N9 comes with a 3.9-inch curved glass AMOLED capacitive touchscreen display -- I think this is the first of its kind I've seen on a smartphone. I appreciate the craftsmanship put into it; The curves on the sides are a small detail really but they greatly contribute to the overall solid look that the phone exudes. 4. There's not a single button in front of the phone - not even a touch sensitive one. (The last phone I used with a similar front panel is Nokia N900.) At first, I had no idea how to unlock the screen, so I kept swiping from left to right, top to bottom and vice versa to no avail. Apparently, you just need to double tab on the screen to unlock it. 5. There are only three home screens, which are arranged in a carousel: 1) Applications 2) Events, which contains all notifications and feeds 3) Open applications for multi-tasking. I can see that the MeeGo team tried to simplify the interface and just grouped similar sections together. I'm not sure if a lot of people will appreciate having such a limited number of home screens on a handset of this calibre. As for me though, I really like it; I think it's organized and looks very neat.